Reportedly, more US citizens have been killed by guns since 1968 than have died on battlefields in the entire history of America. Is it justifiable to show footage of people being killed? 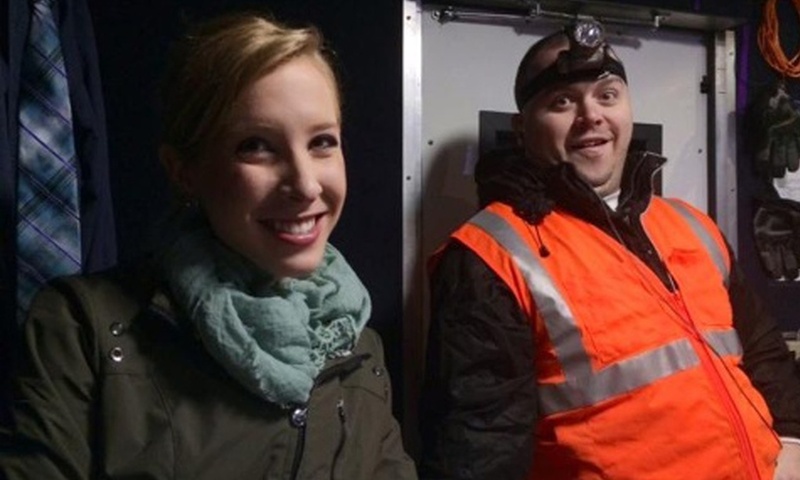 Last week, two TV journalists were shot and killed by an ex-colleague while they were filming. This isn’t, at heart, a debate about media regulation, taste and public susceptibilities. It’s a debate about 8,500 people gunned down in the US this year alone and how to stop the slaughter. You won’t begin to turn the argument there unless you show ordinary people, ordinary voters, the horror of putting guns too easily into the hands of the wild and the deranged. If thousands upon thousands are allowed to die each year virtually unmarked and unmourned – small, routine items at the foot of page two – then the tide of opinion will never turn. Newspapers, news channels and news blogs are there to chronicle and inform. They don’t exist to sanitise life. They exist to do – and tell – what’s necessary. It was necessary to see the charnel houses inside Auschwitz. It is necessary to understand how vile the public decapitations of Islamic State can be. It is necessary to see police officers shooting black demonstrators. It was necessary to see the twin towers collapse in smoke and blood. It is, I’m afraid, necessary at least to make Vester Lee Flanagan’s macabre video onslaught available to those who want to view it because the millions who have seen it can glimpse a new circle of hell. You can’t stop this world and get off. The human instinct to look away from suffering is balanced by an equally human appetite for gore. Our job as journalists is to balance the two, so that our coverage of war, disaster and violence is neither an over-sanitised shield protecting viewers from horrible realities, nor a lurid attempt to hook their attention with gratuitous images. We cannot argue that images alone can stop the horrors of war and human cruelty, or dull the pain of natural disaster. We said “never again” after Auschwitz, but looked away as the massacres in Rwanda, Srebrenica and other killing fields unfolded. Isis is still rampaging through Syria and Iraq after publishing their gloating, macabre videos of thousands of deaths. Americans have seen many graphic images of shootings and their aftermath. They know very well what bullets do to human bodies, both adult ones and those of children killed in Sandy Hook. That does not and will not change their national debate, and nor does the footage of the latest attack. Instead, we should try to weigh up whether news photographs or videos change our understanding of the world, of how and where and why people were robbed of their lives, the extent of devastation, the nature of what governments are doing in the names of their people. Pictures from Auschwitz, the image of the burning girl in Vietnam, the video of the chokehold that killed Eric Garner or of the boys lying dead on a Gaza beach last summer are all extremely painful, but meet that definition. PP: But now we’re in the most difficult territory. Some major websites – BuzzFeed, Business Insider – ran the video in a trice. Some newspapers – such as the Guardian – did not, and put suitably cautious picture treatment on an inside page. The Sun looked down the barrel of Flanagan’s gun as he pulled the trigger. The Washington Post criticised those who’d been too cautious in showing us what happened. It’s easy to say what should or shouldn’t be shown if we’re masters of the media world – but, in web-world 2015, nobody makes those calls or dictates those terms. There is no single global code of conduct – or law. Editors are free to make their own choices, and to give their audiences a choice. Look away if you’re going to be upset. This whole argument can’t be practically resolved. There is no universal umpire. But surely we’re better being able to watch if we feel we must, rather than left with disinfected despair? EG-H: People already have a choice. Anyone with an internet connection and a basic education can watch hours of real-life snuff videos from the beheadings and burnings of Isis to this latest atrocity. So we are no longer arbiters of what people can and cannot see. Instead, our decisions shape the understanding of an event by people who have chosen to come to us to find out what happened and why. And when we make those decisions, we should be weighing up not just what the images show but who made them and why. Publishing still images of the moment of death, or running video from the live show or the gunman’s Twitter feed shows viewers what the killer wanted us to see: himself an implacable instrument of death; his victims terrified and dishevelled. By publishing his account of the attacks, we become propagandists for the killer rather than investigators unmasking his secrets, just as we do if we share Isis videos. Isn’t it better to remember the dead as vibrant journalists, friends, children and partners and him as an unhinged madman? PP: Yes, there is a choice. Of course there’s a choice. And that, individually, means an opportunity to choose. I probably wouldn’t have run some of the Flanagan pictures or videos in anything I was editing: a personal choice. But I can’t criticise others for making a different choice. The problem with “looking away now” by diktat is that we all need to see the world whole – and our responsibilities for making it a better place. We will never do that if we censor, or self-censor, the nasty bits out, or construct unprovable rationalisations of what an unhinged gunman was thinking as he pulled the trigger. I found myself, this weekend, wishing I could have seen the scenes inside that mausoleum of a van parked on an Austrian road – because forgetfulness over our migrant tragedy is the enemy of action or compassion. But imposing standards of taste rules that out. Forgetfulness reigns when journalists play gatekeepers, and slam the gates shut. EG-H: There is enough horror, misery and death in the world at any one time to fill our papers and screens with only the “nasty bits” of life, around the clock. That makes journalists gatekeepers by default. Editors decide which stories deserve time and money; reporters decide which parts of those stories should make it to screen or page. It is never a simple choice between “taste” or truth, and often our decisions shed uncomfortable light on how we value different lives. The Rohingya are still being mistreated by the government in Burma, and fleeing in thousands, but their tragedies no longer fill our websites as they did earlier this year. Celebrities once campaigned to stop the horrors in Darfur, yet the atrocities of South Sudan pass almost unnoticed by the wider world. Why did Fox News feel it was important to post on their website the entire 22-minute video of the execution of Jordanian Lieutenant Muadh al-Kasasbeh – who was burned to death in a cage – to show “the barbarity of Isis”, but did not run videos of the killings of previous Isis hostages who came from the UK and US? Deciding that some video or images are better unseen is not the same as averting our eyes from evil, if we commit ourselves to search for other ways to describe and try to tackle it. More Americans have died from guns in the United States since 1968 than on the battlefields of all the wars in US history, Nicholas Kristof told us this week. Isn’t a statistic like that more shocking than footage of another shooting, so cruel to the dead and their loved ones, so gruesomely familiar from films, TV and other reports, and ultimately so easy for so many to forget?